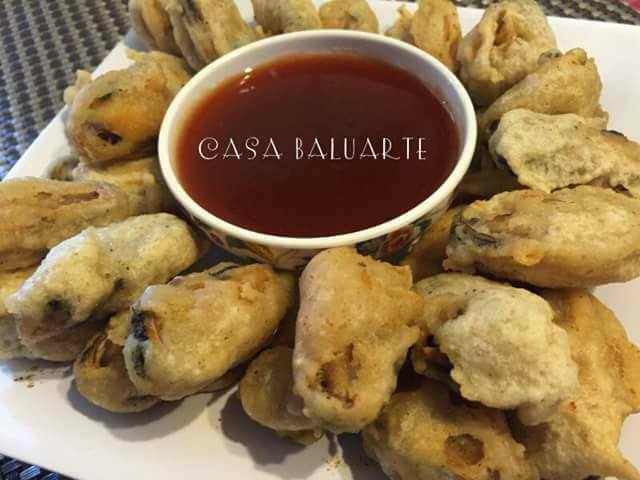 Crispy Tahong or Deep Fried Mussels is a Filipino appetizer or pulutan. Deep fried and serve with vinegar sauce. Combine cornstarch. flour, salt, garlic powder, ground pepper, egg and water. Mix well until the texture becomes smooth. Heat cooking oil in a deep pot. Add mussels in the batter and stir. Deep fry coated mussel one by one in medium heat for 3 minutes or till it turns golden brown. Mix above ingredients aside from cornstarch. Simmer in low heat for few minutes. Add cornstarch, stir well and simmer for few minutes or till thicken. Remove from heat and serve as dip.